Yesterday after Friday Prayers, the MSA made sandwiches, chips and tea for the homeless. Then, we went to the park in the middle of campus and distributed them to all of the people there. A big part of the charity we do is not only giving food, but also talking to the homeless and making them feel like they are really a part of our community. We’ve made friends with many of them and they always thank us for coming out every friday. One man who we see a lot always tells us to smile. He thanks us for the food and then he just talks about how important smiling is and asks us to smile for him. 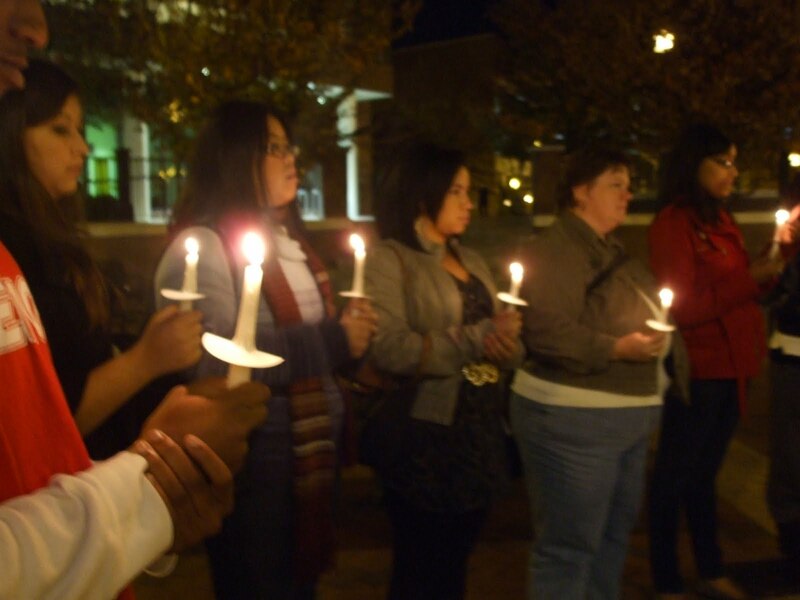 then last night we went to a candle light vigil for Breast Cancer Awareness. it was really nice and some of us got to speak about our experiences with breast cancer (family members who have it) and how it has affected us. Breast Cancer Awareness month is over and this month is Lung Cancer Awareness month. Keep that in mind. if you finds a cure for cold hands i will love you forever.